This weekend was a fun one. Friday night a group of friends went over to Boby Mathew’s house for a costume party/fundraiser event for a non-profit organization based out of Honduras that Boby’s cousin is heavily a part of. The organization is called Mission Miqueas 6.8. The vision of Mission Miqueas 6.8 is to raise abandoned, neglected and abused children with love, care, education, encouragement and Christian values to have the ability to lead the future generations of Honduras. Check out the site and if you’re interested in donating to the cause, you can go direct through the website or contact me and I’ll hook you up with Boby Mathew. 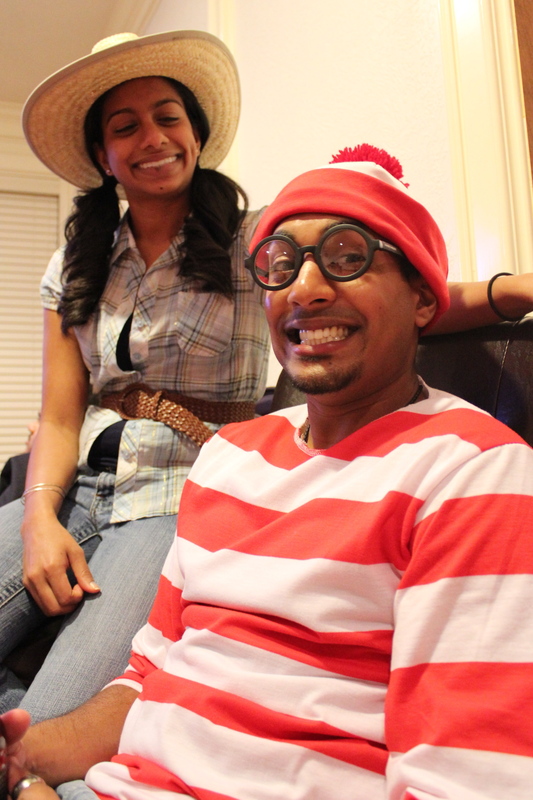 I never was really into dressing up for Halloween, but since Boby asked, I figured, it’d be fun to try out…. plus it was a costume contest as well, so there was a chance to win something… so I had to at least try, right? I dressed up as “The Most Interesting Man in the World” from the Dos Equis Commercials. Just threw on a suit, sprayed gray in my hair, wrapped on an Ascot and, bam I was done… needless to say, I didn’t win. But Justin “s2k” Samuel took the prize. He came as “House” and got the character spot on. 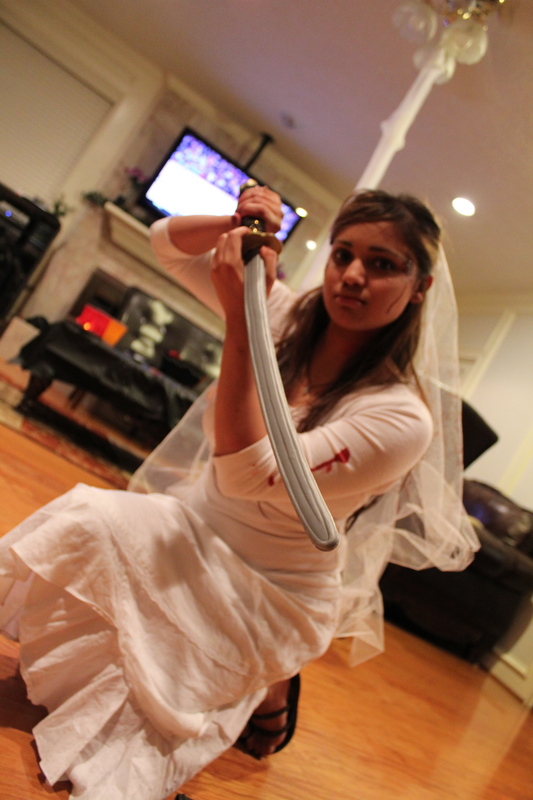 Some other characters that showed up was Beatrix Kiddo (from Kill Bill) when she was the bride played by London Sarah. 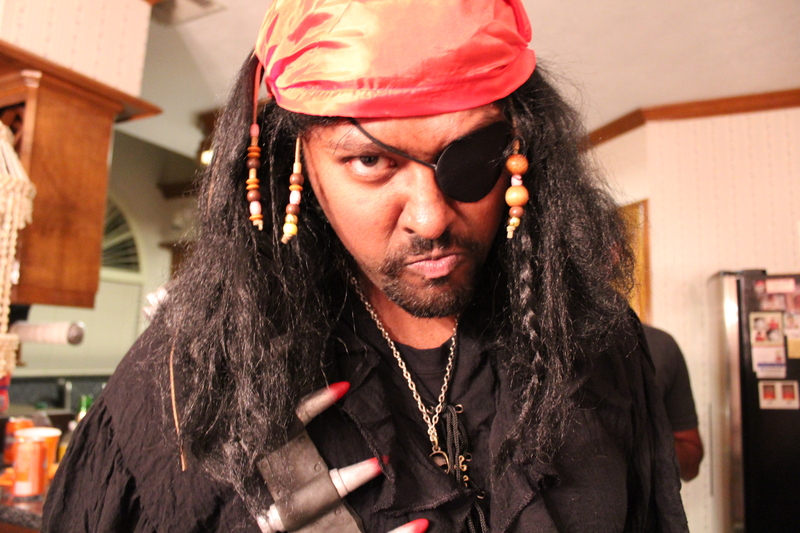 Then there was the Somalian Pirate played by Shelby George. Of course the host has to do it big playing “Where’s Waldo”. In addition to the delicious spread Boby offered (subway sandwiches and chick-fil-a nuggets), Cindy Mani whipped up another off the chain dessert! I had dreams about it days later! 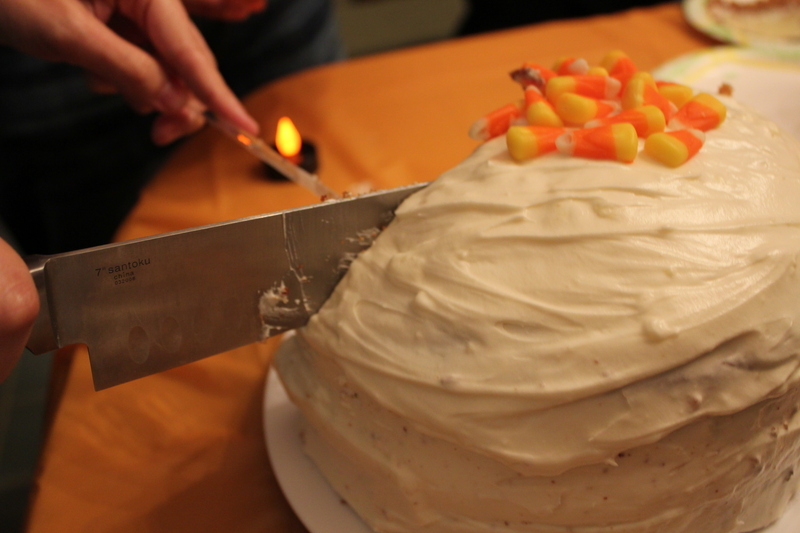 This time it was a carrot cake. On Saturday, Sheena and I volunteered at the Rockets opening game with our church. We basically passed out free t-shirts to the first 5000 peeps to come in to door. It’s always fun to give people free stuff. After the Rockets event, we hung out with London Sarah, Sherene and Jensen. We grabbed burgers and shakes at Fudduckers and had some good chill time with them. 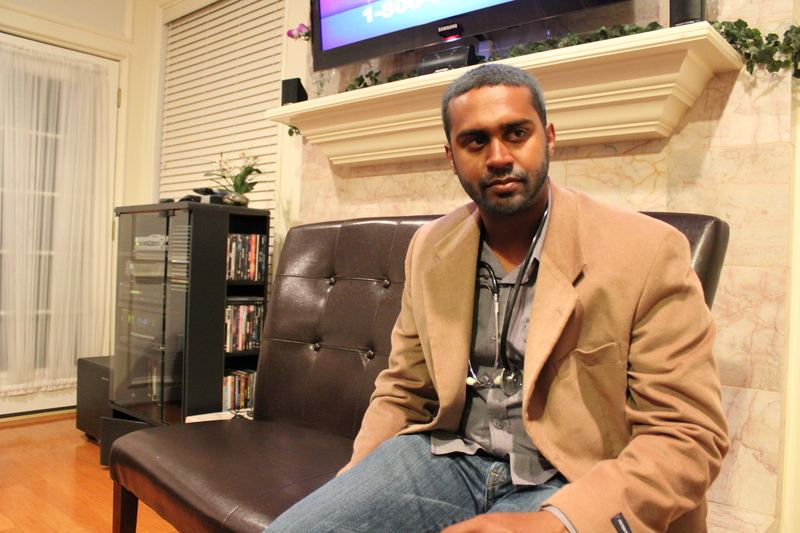 On a more somber note, we got word that Benson Mathai’s mom had passed away due to heart complications. After the Rockets give away we headed out to Benson’s house to spend some time with him and his family. It was nice to see him in good spirits. He’s handling things well. Sunday we went to church, as usual, and then we headed to Sheena’s Mom’s house to celebrate her birthday. Then we headed to Kavitha’s house to celebrate her birthday as well. 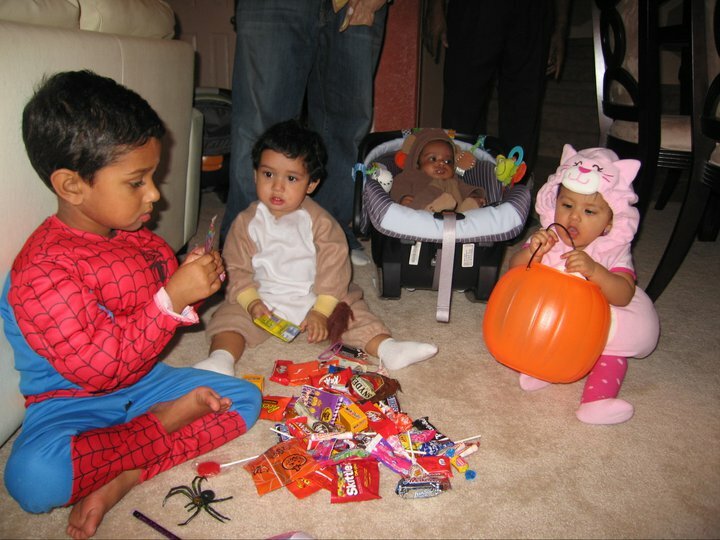 While we were there, Pokie/Julie dressed up Ava as a pea in a pod, Kavitha/Bibby dressed up Micah as a monkey, Betsy/Phinu dressed up Jaylen and Jared as Spiderman and a Lion and Bobby/Smitha brought Natalia as a little kitty. Needless to say, everyone looked super cute. That was basically the wrap of our weekend. Now back to the daily grind! Thanks Jerk! You left me out of your weekend. It stingsss so bad!! Yes! Finally a shout out! Liz made a very VIP appearance to my house on Halloween! It was so great to see her! 🙂 Thanks Saj for the shout out and for being our photographer!